Are you looking for a fun activity for the entire family? 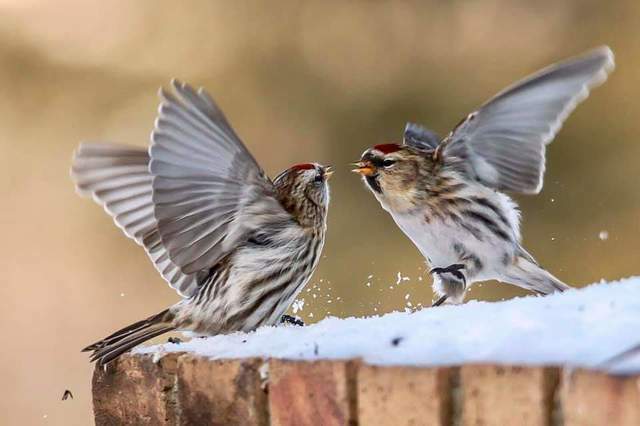 Even in bitter cold weather such as this, winter birds are active each day from sun up to sun down – so what species might you have in your yard? The Great Backyard Bird Count is done yearly by people across Canada, and goes from Friday, February 15th to Monday, February 18th. It is run by Bird Studies Canada, is free, fun...and sometimes even “finchy” (no pun intended). What you need to do to get started is to first create a free account at http://gbbc.birdcount.org/. You will then count the birds in your yard for 15 minutes or longer anytime during the count period of the 15th to 18th. Then simply submit your observations to http://gbbc.birdcount.org/. By participating in the count, your information contributes to the valuable research of bird populations. This will be the count's 22nd year, and each year valuable information on bird population size and migration habits are learned. This can be a great opportunity to learn about which species visits your backyard. If you don't know the species, there are free e-books online or you can look on bird sites, or simply google the description and view the results. 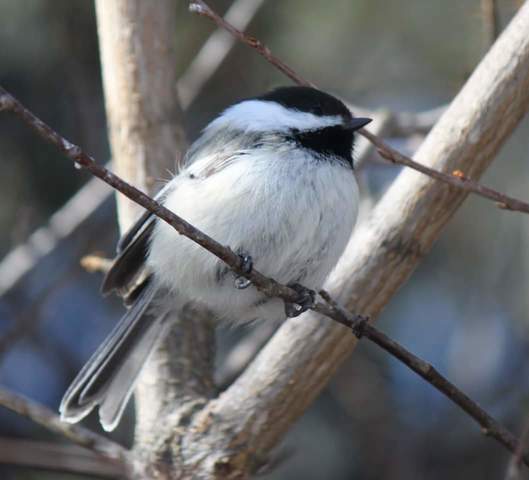 I know, for example, that in my yard I will likely count my resident female Downy Woodpecker, numerous Black-capped Chickadees, Red-breasted Nuthatches, sprarrows, juncos, and perhaps even Gandalf, my White-breasted Nuthatch. What, you don't name the wild critters that inhabit your yard? Basically count any species you see, whether they are feeder birds or not – i.e if you have an owl, falcon or raven. If, for example, you see an American Robin that information will tell researchers what amount of a population over-wintered compared to other areas. Perhaps you have irruptive migrators, that do not always show up each year, such as the Common Redpoll. You can also take part in a guided program at Wakamow on Sunday, February 17th at 2:30 pm if you would like to learn more about what species are common here in winter. We will do a short walk, then spend the majority of time near the large feeder where we will hand-feed some of the feeder residents. Seed and binoculars will be provided. Meet at Burger Cabin parking lot, then we will head off to the feeder. Non-Moose Jaw Nature Society members are also welcome. We will try and do a count of the species there at the feeder area as well. You can call Kim at (306) 681-3198 for more info. Information on the next meeting for the Moose Jaw Nature Society will be provided in next weekend's column. The program (with guest speaker, Jim Elliott) will be on climate change on Friday, February 22nd at 7:00 pm. Epp is an Environmental writer and is also the President and Field Trip Coordinator of the Moose Jaw Nature Society. She can be reached via the MJNS facebook page or at kepp@shaw.ca.